If you’re looking for a pair of true wireless earbuds with fitness tracking and more, The Dash Pro earbuds are worth every penny. True wireless, or wire-free, earbuds are slowly becoming the latest “must have” for those who enjoy listening to their music on the go or while working out. While most currently only offer streaming music listening capabilities, there are a few brands and types out there that go much further. 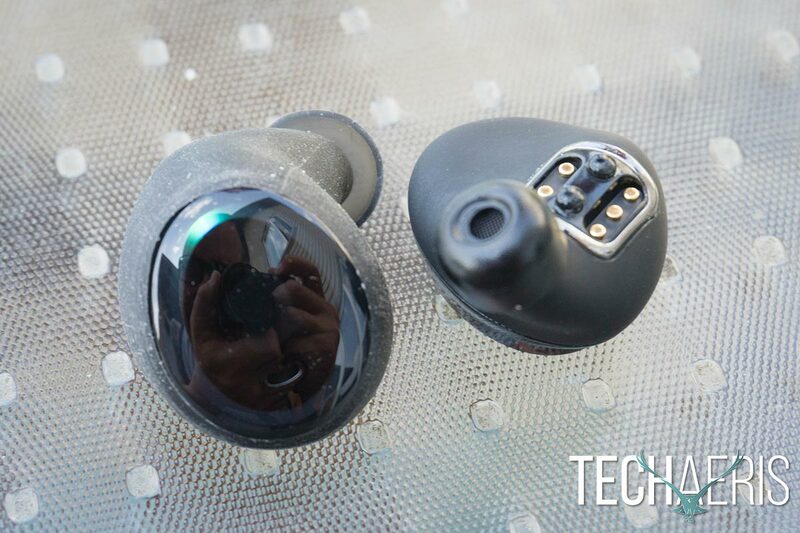 The Dash Pro isn’t Bragi’s first outing with true wireless earbuds. 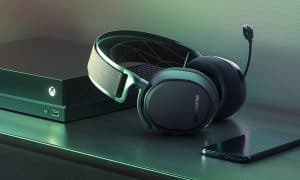 Their initial offering was the simpler The Headphone and The Dash was the company’s first attempt at a more intelligent, full-featured wireless earbud system. 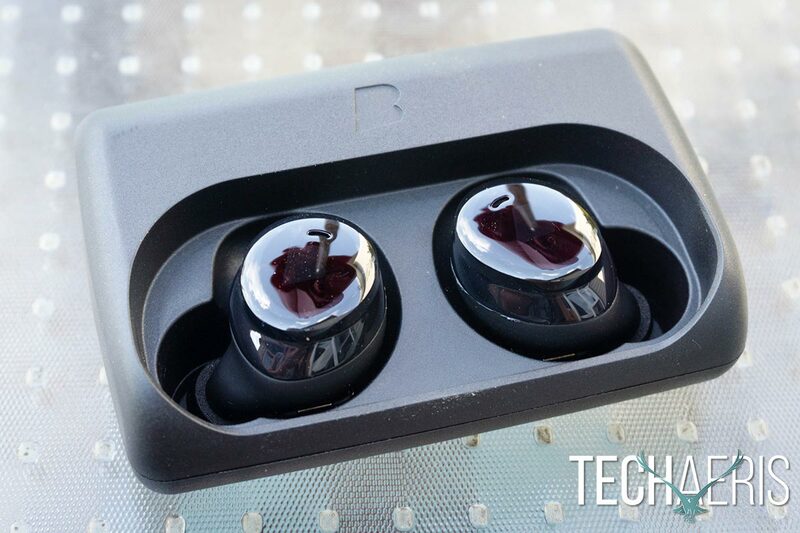 Our Bragi The Dash Pro review takes a look at a pair of their latest true wireless earbuds with fitness and onboard storage capabilities as well as the typical Bluetooth streaming support. The Dash Pro consists of three main pieces if you count each earbud separately. Like most true wireless earbuds, they are stored in a charger which consists of an inner compartment which houses the earbuds and an outer aluminum sleeve (which Bragi calls a Slide). The inner compartment is black and has an oval cutout which covers just over half of it. Just above this is the Bragi B icon which is debossed into the case. 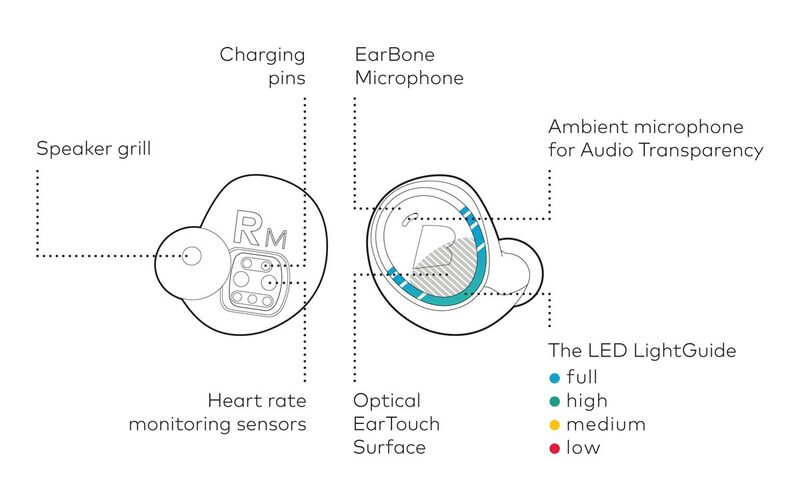 The earbuds both fit into individual slots marked L and R with a pin array which connects to each earbud primarily to recharge them but also for providing a connection to the earbuds while updating them. The earbuds are held in place magnetically, so they don’t come unseated while carrying The Dash Pro Charger around. On the left side of the charger are the Micro-USB charging and an LED light which indicates charging and battery life. On the right side of the charger is a small reset pinhole. The Dash Pro in The Dash Pro Charger. The Slide is an aluminum sleeve, also with the Bragi B debossed into it, which slides over the inner charging compartment. The inside of the Slide is lined with a smooth blue leather inlay and a narrow slit across the bottom of the top allows you to see the breathing lights of The Dash Pro earbuds when they are charging or updating. The Dash Pro earbuds themselves consist of an oval design just under 1″ tall, ¾” wide, and between ¼” and ½” thick. The outer portion of each earbud has a small slit near the top which houses the ambient microphone. The bottom area is an optical touch EarTouch Interface surface for controlling the earbuds functionality. A thin LED also surrounds the bottom portion of each earbud and indicates the remaining battery level. The Dash Pro technical diagram. 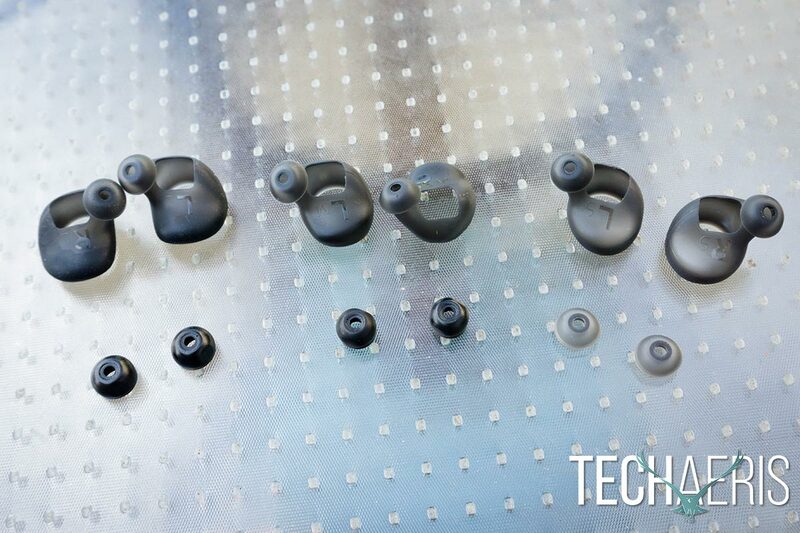 The inside of each earbud curves inwards for a nice comfortable — and secure — fit. If you have one of the silicone FitSleeves installed over it, and you should, the earbud side (L/R), as well as size, is indicated on the inside. The FitSleeve covers the entire inside and wraps around the outer edges of each earbud and ends in an eartip over the speaker grill. You can also forgo the FitSleeve and just use the foam FitTipsPro ends, but I found the FitSleeve more comfortable and it felt more secure when The Dash Pro were seated in my ears. 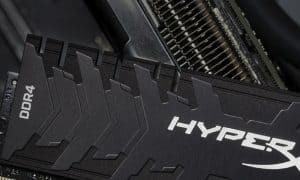 Finally, there is an array of five pins — for charging — and two heart rate monitoring sensors located just behind each speaker grille. The front and back of The Dash Pro true wireless earbuds. Even though they seem a tad large looking at them, they fit fine, were rather snug, and were fairly comfortable when worn. The FitSleeves can be a bit of a pain to put on, but once you have them on you’re probably not going to be taking them off anyway. The Dash Pro earbuds are also IPX7 waterproof-rated up to 1m (3.2ft), which not only makes them great for physical activities like running and cycling, but also for swimming. While I didn’t use them swimming, I did test them out in the shower and they worked just fine when wet. Before you begin, you’ll need to charge The Dash Pro by connecting the Micro-USB cable to a USB wall charger and The Dash Pro Charger for at least an hour. Once charged, you’ll then want to connect the charger to your computer and head over to update.bragi.com to see if there are any firmware updates for the earbuds. 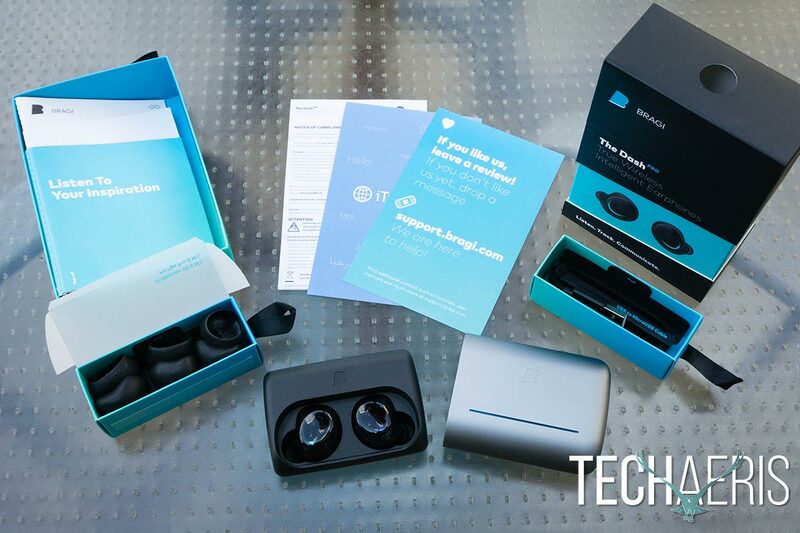 Once the earbuds have updated, you’ll need to download the iOS or Android Bragi App. After you’ve downloaded the app, insert The Dash Pro earbuds into your ear and pair them as you normally would any other Bluetooth headphones. If your device doesn’t pick up The Dash Pro, hold the touch surface on the right Dash for about 5 seconds to enter pairing mode. Once you’ve paired the right Dash, open the Bragi App and select your Dash Pro in the device list to connect the sensors. Once both The Dash Pro earbuds are connected, you can then tap, touch, and hold the EarTouch Interface to control the different functions of the earbuds. The Dash Pro Touch Controls. One of the cool features that was recently added is a 4D Kinetic virtual menu. What this does is allows you to accept or decline calls, skip tracks, and navigate The Dash Pro’s menu. It takes a bit to get used to — and you may get some strange looks while doing it — but once you do it almost becomes second nature. The Dash Pro also come with 4GB of on-board storage space so that you can copy your music right onto the earbud. Doing so is as simple as connecting The Dash Pro Charger to your computer, opening The Dash Pro in your file explorer, and dragging songs into one of the four playlist folders already set up inside the My Music folder. 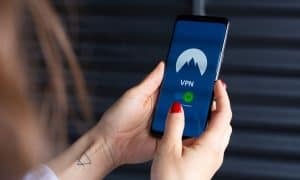 Once you’ve copied music over, you can then play it from the earbuds instead of streaming it from your device — which also means you can go for a run without having to worry about carrying your smartphone with you. The Bragi App is fairly simple to use. Upon opening it for the first time, the app will present you with a list of devices which should only show your The Dash Pro. After you’ve selected them, they will connect and take you to the home page. 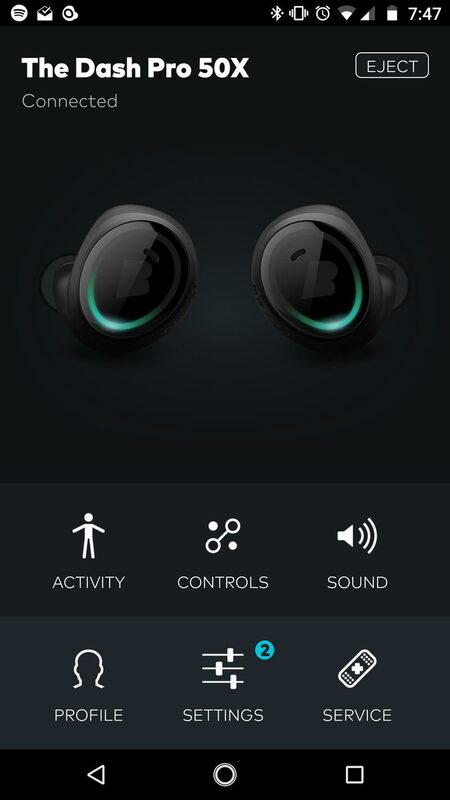 Each time you launch the app with the earbuds on and inserted in your ears, the dashboard shows your The Dash Pro earbuds while connected as well as six large buttons on the bottom. Each of these takes you into different setting and feature screens. The Bragi App dashboard screen. 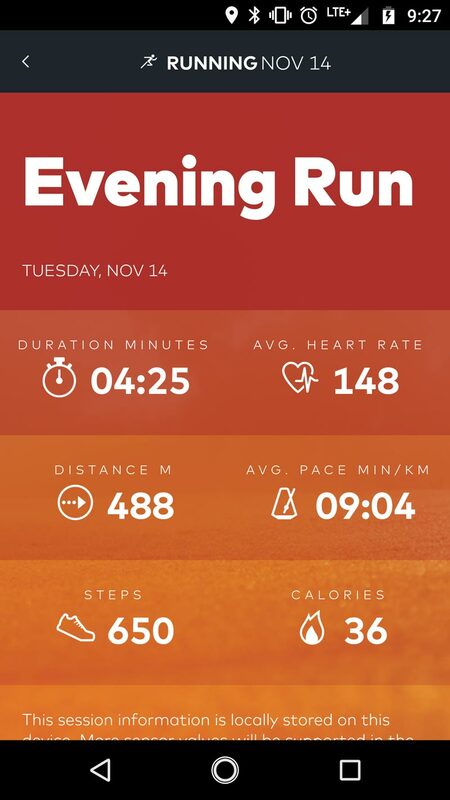 The Activity screen shows your current heart rate as well as lets you start a running, cycling, or swimming activity. You can also review previous activities. The Controls menu allows you to enable or disable the Virtual 4D Menu head gestures, auto-toggle Audio Transparency when pausing or playing a song, use a Shortcut to activate Google Now, Siri, Alexa, skip or play/pause a song, enable or disable Auto Tracking, or set up Routines. Audio Transparency enables or disables noise cancellation and in some ways enhances the sound when it is enabled. For example, when Audio Transparency is turned on, a mechanical keyboard sounds a little bit louder than normal, as do voices. When turned off, it sounds quieter than normal, and when off while playing a song you can barely hear it, if at all, while typing. While I used a mechanical keyboard as an example (it just so happens to be what I’m using), it should give you a pretty good idea of what to expect when used outside or while exercising. 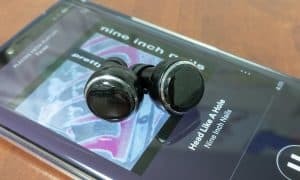 Shortcut is a “Sneak Peak” feature which allows you to double tap on your right cheek when both earbuds are being used to perform a certain action. It’s a weird feeling tapping your cheek to play or pause a song, but it works rather well. Auto Tracking is a cool feature that allows The Dash Pro to start recording your run, cycle, or swim session automatically — more on that shortly. Finally, Routines are set functions that happen when you insert the earbuds, like telling you the current time. There are also plenty of tutorial videos and the user guide which can also be accessed through the app. Initially, we received The Dash to review but due to connection issues and other problems, as well as the timing of The Dash Pro launching, those were quickly left behind. Fortunately, all the issues I had with The Dash have disappeared with The Dash Pro. Pairing and connecting to The Dash Pro worked the first time, and they stayed connected and I have had no issues using the EarTouch Interface to control the earbuds. Both of these were major issues with the pair of The Dash I had been testing. As far as actual use, once you get used to the touch controls, The Dash Pro work pretty swimmingly. 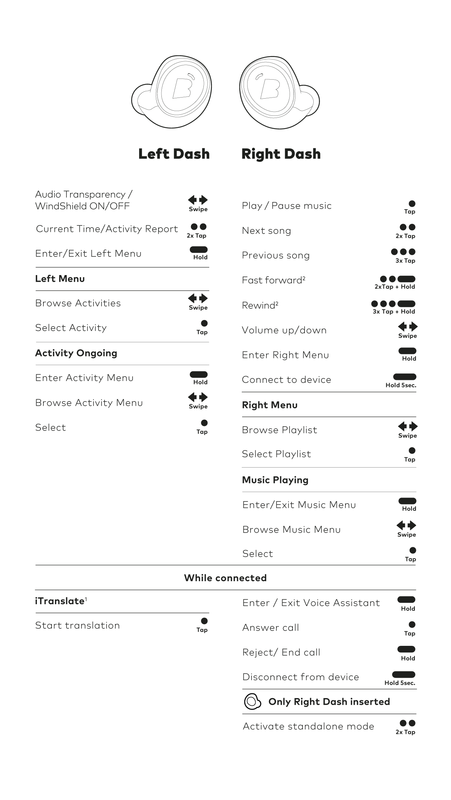 The touch controls as listed above work as expected and I had no problems adjusting volume, skipping tracks, selecting activities, or any of the other features. As mentioned in the previous section, Audio Transparency works pretty well to allow or block surrounding sounds. With Auto Tracking enabled, you don’t even have to hold, swipe, and tap the Left Dash to start or pause the activity. In fact, it was a bit of a shock when I started running and about 10 or 15 seconds later, the voice prompt (which is quite lovely I might add) informed me that tracking of my run had started. Once I stopped running, the voice prompt indicated that the activity had been paused and roughly 30-45 seconds later, I was informed that the activity had been stopped. 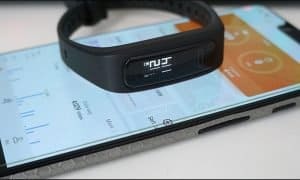 It’s a pretty decent system and allows you to run and not have to start up a new activity because you’ve stopped at a red light or to grab a drink of water. If you start running again during the paused state, the activity will resume. Depending on the activity, the earbuds will track stats like Heart Rate, Calories, Duration, Step Count, Distance, Cadence, Speed, Breaths, or Lengths. An example of a tracked run in the Bragi App. The heart rate monitor is pretty accurate as well. During the latter part of testing, I tested The Dash Pro monitoring against a Samsung Gear Sport (review coming soon) and the current heart rate on both devices was within a beat or two. While I didn’t test these out while swimming, during both runs and cycling activities, the earbuds felt really secure with the FitSleeves and I never felt like they were going to accidentally fall out. 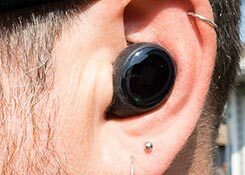 When using true wireless earbuds, the last thing you want is for one to fall out while you’re cycling at 20km/h down the street. While wireless earbuds have the fallback of being attached to each other with a wire, true wireless earbuds do not. A number of eartip and sleeve options ensure a snug, comfortable fit. When I first received The Dash Pro, the performance and “intelligence” of them was already great, and there have been a few updates since then that have only added more functionality like the Virtual 4D Menu and Shortcut support. The latest update, Update 3.1, added Alexa support, giving users a third choice of voice assistant alongside the already supported Google Assistant and Siri. The Dash Pro earbuds are a very good sounding pair of true wireless earbuds. The balance from lows to highs is pretty decent, and the bass levels are almost perfect. I definitely didn’t feel the need to immediately enable my equalizer to get the sound that I like out of my headphones when listening to music. Maximum volume isn’t overly loud, and unlike other headsets you can actually listen to these at full volume. That being said, I found that most of the time I was using these at about 75% volume while outside or running around the track. When in quieter environments, a volume of 50% was more than suitable. Another feature that The Dash Pro have going for them is that they have independent volume controls! 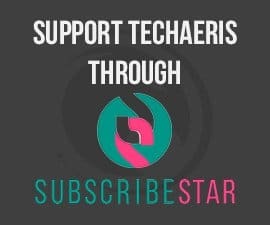 I know we’ve discussed this a few times here at Techaeris on past reviews, and we still get excited when we come across a pair of headphones that allow you to control the volume independently from your device. With these though, it does make sense given that you can listen to music stored directly on the earbuds. On that note, whether streaming or listening to music directly from the earbuds, the sound was identical and just as balanced. As mentioned above, Audio Transparency mode makes it easy to hear more or less of your surroundings, and The Dash Pro also have a Windshield Mode which helps reduce wind noise while riding your bike. While I mentioned mechanical keyboards in the example above, when wearing these while mowing the lawn, the usually loud lawnmower was reduced to a mere hum. I’m not one for making or taking calls while wearing wireless earphones, but for the sake of testing we, of course, tested a couple of calls out as well. I was a bit worried given the placement of the microphone but I was mildly surprised at how well the Knowles Digital EarBone microphones actually worked. I didn’t have to speak too much louder than normal and was told that I could be heard pretty clearly. Bragi claims that The Dash Pro will last up to 5 hours of continuous playback from the Internal Player. During testing, which was a mix of streaming, internal playback, and activity tracking, I managed to hit around 4 ½ hours before I needed to put it back into the charger for recharging. During normal use, however, I’d use them for an hour or two and store them in the charger (for obvious reasons), which of course would top them up. All said and done, I was looking at between 25 to 29 hours of use before I needed to plug the charger in to recharge it and the earbuds. 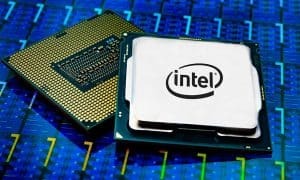 Of course, type of use and volume levels will affect battery life and for the most part, I was using these at between 75% and 90% volume most of the time. 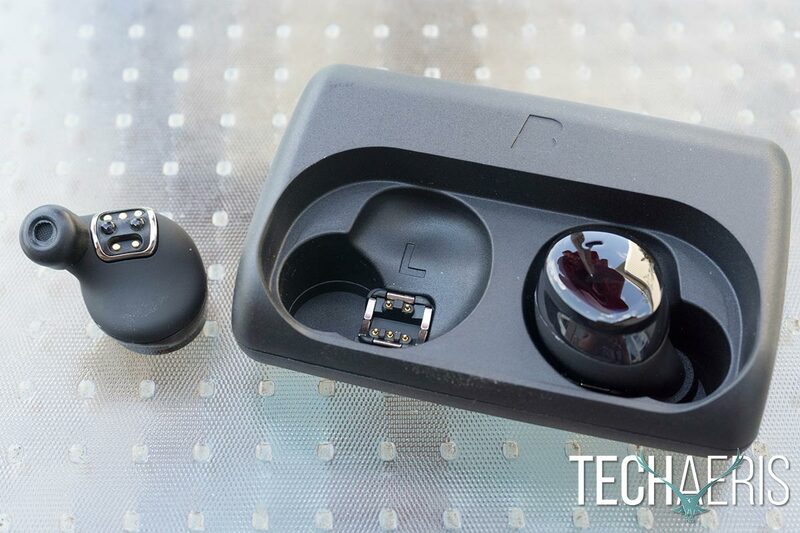 Bragi makes it easy to tell how much juice is left in The Dash Pro earbuds. All you have to do is simply shake the Left or Right Dash earbud and the LED LightGuide will pulse blue for full battery, green for most, yellow for mid, and red for low. 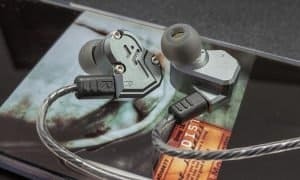 The Dash Pro earbuds aren’t exactly cheap and sell for $329 USD. Considering what you get though, they are pretty reasonably priced. Not only are they waterproof, have on-board storage, track running, cycling, or swimming, and have touch controls, the Bragi team is constantly updating them and adding new features and functionality. The build quality and battery life are also value-added considerations. For those with a bit more money to spend, you can also order a pair that is tailored by Starkey Hearing Technologies. For $599 USD (not including possible fitting and/or office fee(s) by fitting professional), you will get a pair of custom fit The Dash Pro earbuds featuring custom sound. The Dash Pro are a solid pair of true wireless earbuds with fitness tracking and other cool functionality. 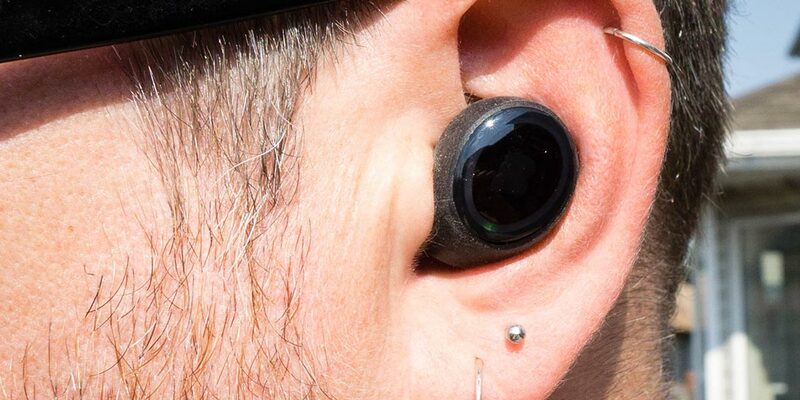 The Dash Pro have been pretty popular — for good reason from what we found with our time with them — and Bragi has had some issues keeping them in stock. 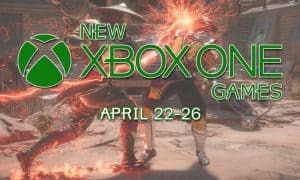 That being said, they recently sent out an email stating that all orders should be fulfilled in around 10 business days, so here’s hoping they can start keeping up with the orders coming in. Bragi’s marketing line for The Dash Pro is “True Wireless Intelligent Earphones.” After using them for the past couple months, I can safely say that they are pretty intelligent and getting smarter with each update. If you’re looking for a pair of true wireless earbuds with fitness tracking and more, The Dash Pro earbuds are worth every penny. 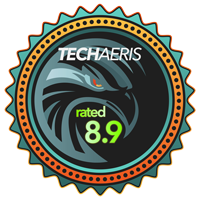 *We were sent a sample of The Dash Pro for the purposes of this review.